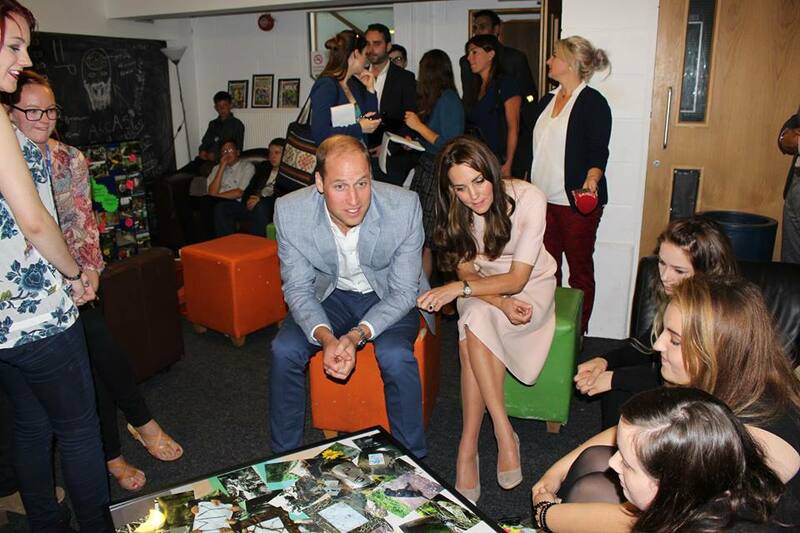 The Duke and Duchess of Cambridge began their two-day ‘mini-tour’ of Cornwall and the Isles of Scilly this morning. 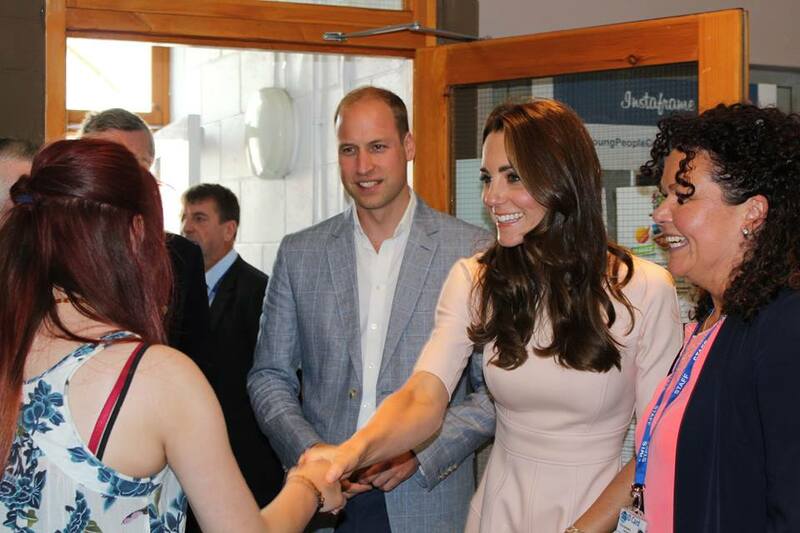 Over the visit, William and Kate are focusing on mental health, a range of local charities, local businesses, and there will be a number of engagements with Duchy of Cornwall projects. The highly-anticipated trip is William and Kate’s first official visit to the scenic part of South West England since their wedding. Speaking about the purpose of the visit, a spokesman for Kensington Palace said “they will learn more about the industries that operate in the isles, particularly the tourism industry and the Scilly flower trade, and hear from local people about their life and culture”. The Cambridges spent today in Cornwall, kicking off their visit in Truro, Cornwall’s only city. The couple visited Truro Cathedral where they met civic dignitaries and cathedral representatives. The Cathedral of the Blessed Virgin Mary, Truro was built between 1880 and 1910 to a Gothic Revival design by John Loughborough Pearson on the site of the parish church of St Mary. It is one of only three cathedrals in the United Kingdom with three spires. Pearson’s design combines the Early English style with certain French characteristics, chiefly spires and rose windows. The Royal Maundy Service was held in the cathedral in 1994 when the Queen presented 134 Cornish people with the traditional Maundy money. 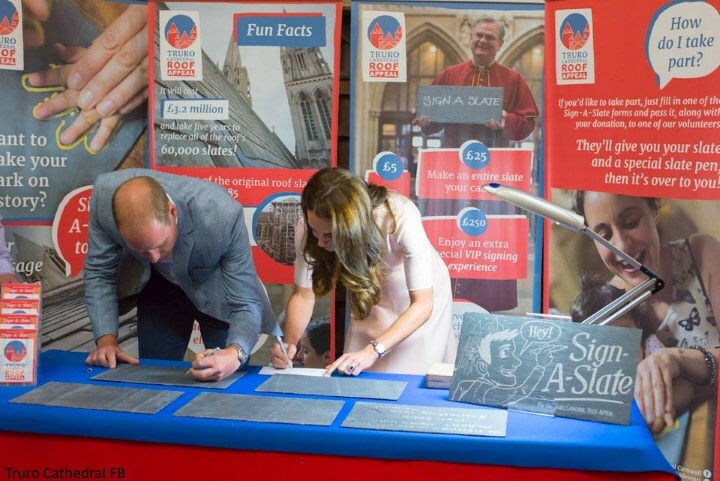 While there the Duke and Duchess also signed roof slates in support of the Truro Cathedral roof appeal. Sign-A-Slate offers those making a donation to the appeal the chance to sign or write a message on the back of one of the 60,000 new slates being used to re-slate the cathedral roof – one that will be in place, complete with those messages, for generations to come. There are three levels at which you can participate. For a donation of £5 you have the opportunity to sign or write on one-sixth of a shared slate. For a £25 donation an entire slate becomes your canvas, upon which you can write and draw. Lastly, for a £250 donation, you can enjoy an extra special VIP signing experience as you and up to three of your family and friends write on your slate at an invitation-only drinks reception. Zebs credits its success to “giving young people the freedom to do what they want, when they want to. A safe, encouraging space to hang out with opportunities to explore and discover, young people feel comfortable and confident to grow and develop, ready to seek support and advice when they need it”. From creating music in the recording studio, to learning how to take better photos, these activities focus is on boosting creative opportunities for young people and inspiring them to see where they can take it. There are also regular information and support groups covering all the issues that affect young people, from open sessions to single-gender groups, to one-on-one advice and support. 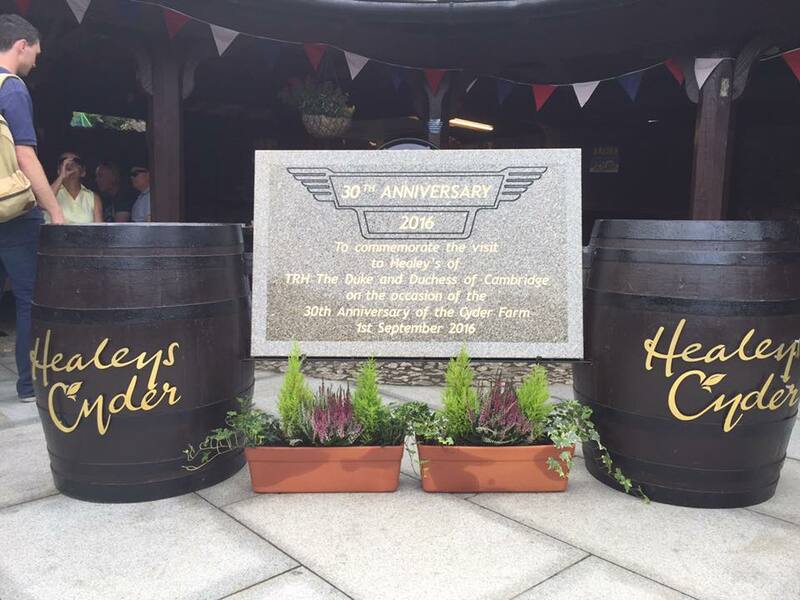 From there, William and Kate visited a successful local business –Healeys Cornish Cyder Farm. 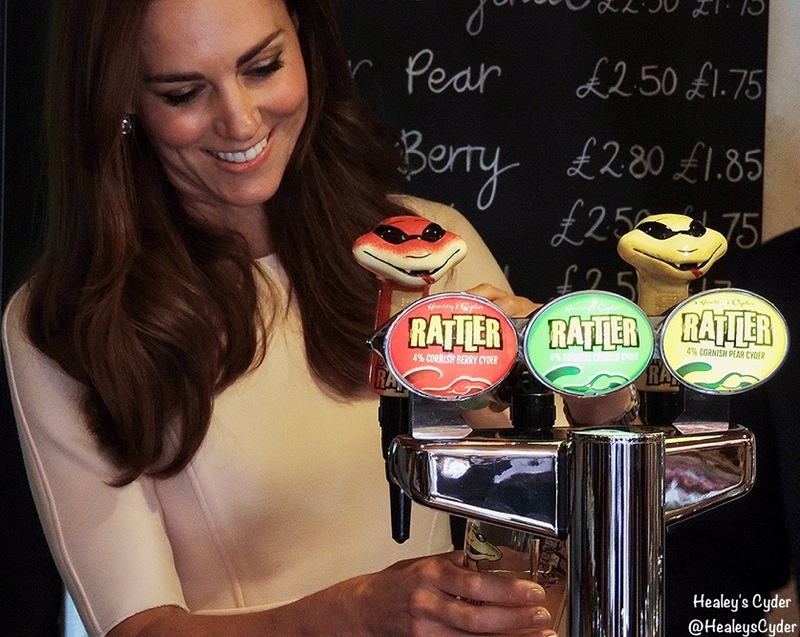 The Duke and Duchess were there to help mark the company’s 30th anniversary. 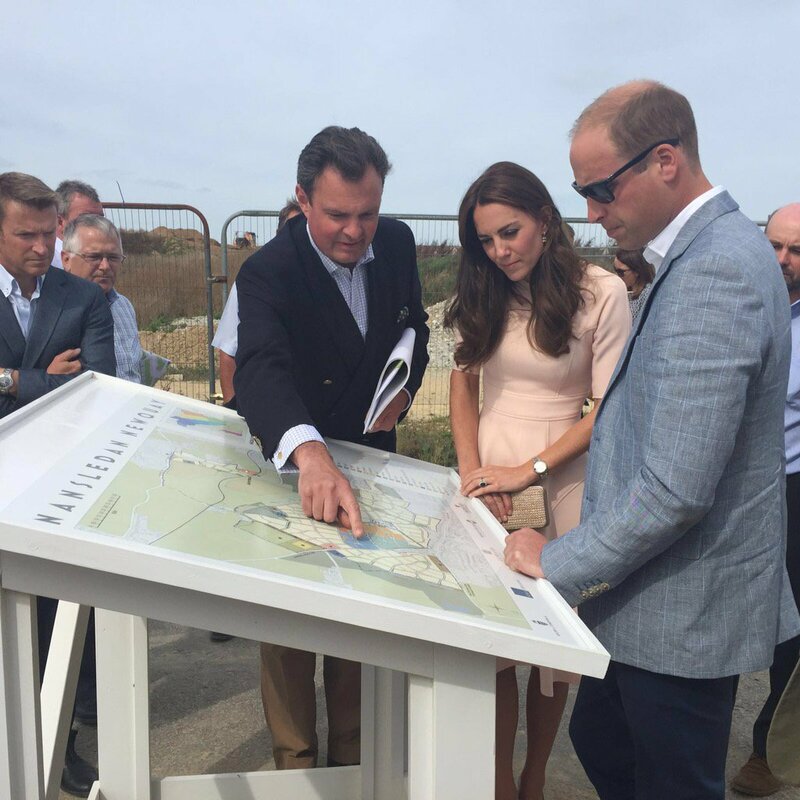 Next, William and Kate travelled to Newquay to visit two Duchy of Cornwall projects, the first of which is Nansledan, a 218-hectare site that will provide future business and housing for the local area. 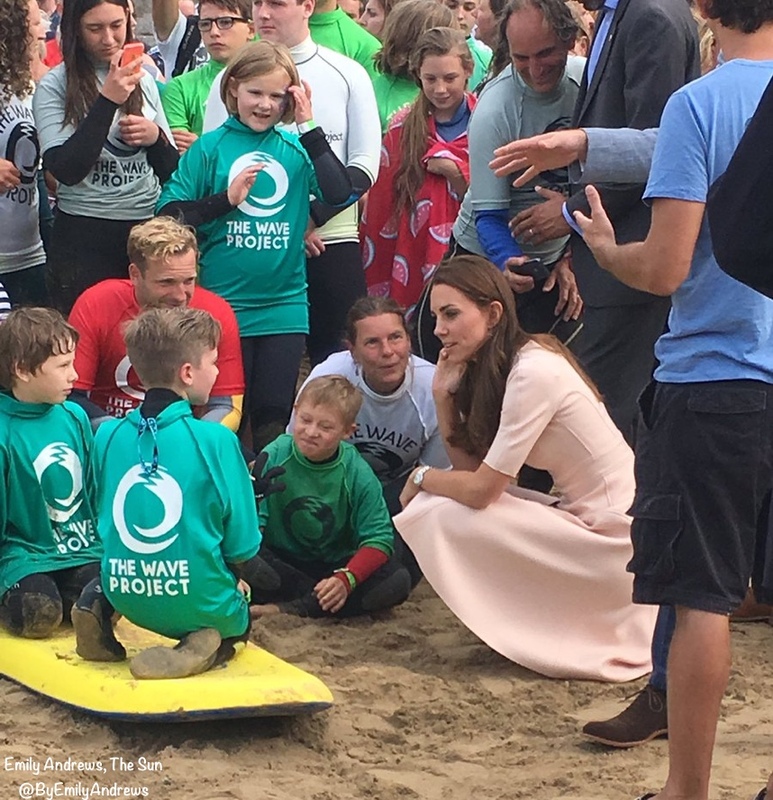 Finally, the Duke and Duchess were given an introduction to the work of the Wave Project on Newquay’s Towan Beach, an organisation that uses surfing as a tool to reduce anxiety in children and improve their mental wellbeing. 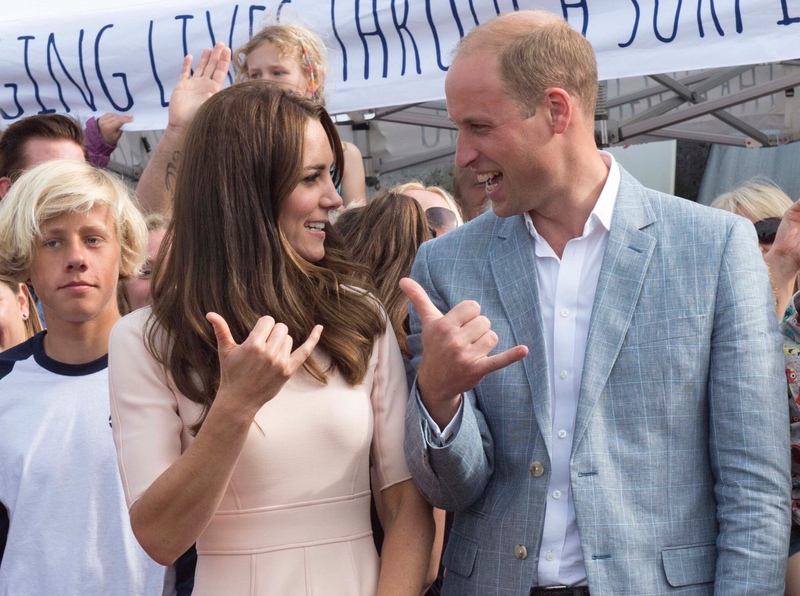 William and Catherine certainly seemed to enjoy the first day of their two day mini-tour. We’ll be back tomorrow with even more coverage.